You've managed to book 2 weeks off to explore Vietnam. Hooray! I'm just thinking about the mouth-watering foods you'll try and the cool places you'll see! I’m even more glad you’ve chosen Northern Vietnam. Seeing images of picturesque Ha Long Bay and Sapa on google images probably sealed the deal. (It did for me). 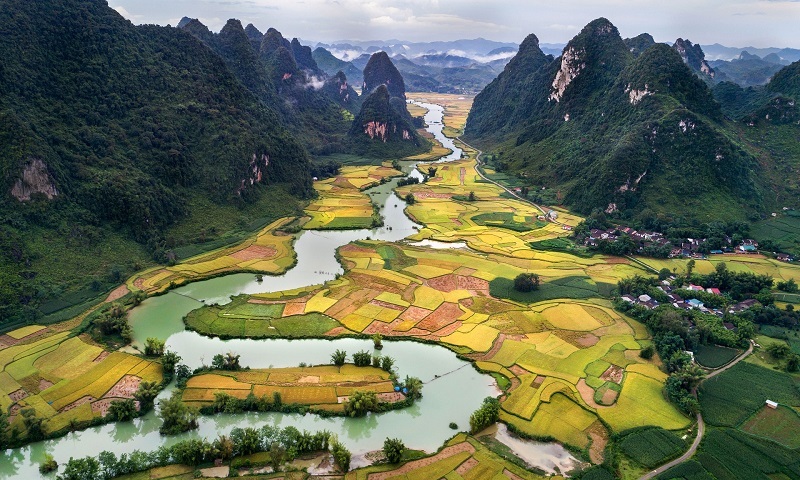 Northern Vietnam is simply a treat for nature lovers. The mist-shrouded mountains, lush rice terraces and dramatic topography, Northern Vietnam’s striking landscape is arguably its most impressive, which is why I always keep coming back! Between the scenic roads, limestone casts and a hectic yet cultural city of Hanoi, a trip to Vietnam’s capital is worth it! Having more time to see every city, discover every little-hidden gem and enjoy every local dish is wishful thinking. There’s so much beauty and culture to see, it’s tempting to” squeeze” everything into an itinerary that fits just a week or two. It will only stress you. The worse part is regretting spending too much time in one place instead of another. Like most people, even paranoid travelers, all arrangements are made way before departure… but if you have never been to a place, how will you manage to delegate your time from your home? I meet lots of people traveling through Vietnam for 1 or 2 weeks with everything planned out to a tee. When I hear they booked their hotels in the same place for 4 days and how they’re spending their days in one area, I struggle to keep a straight face. Even travelers who haven’t touched down on Vietnamese soil expect to see every landmark in 2 weeks, makes my eyes roll. Where to go? What to do? How do I get there? I’ve compiled a handy guide for your epic travel to Northern Vietnam, that will help you optimize your time for the most site worthy places. 1 week: Hanoi, Sapa, Halong Bay – use Hanoi as your base to explore other destinations such as from Sapa and Ha long Bay. 2 weeks: Hanoi, Sapa, Cat Ba Island, Halong Bay Ninh Binh – use the extra time to see hidden gems and travel a bit further down by overnight bus. Use Hanoi as a base for points of interests in Northern Vietnam like Sapa and Ha Long Bay. I googled “How many days in Hanoi” and that’s exactly what people search for. 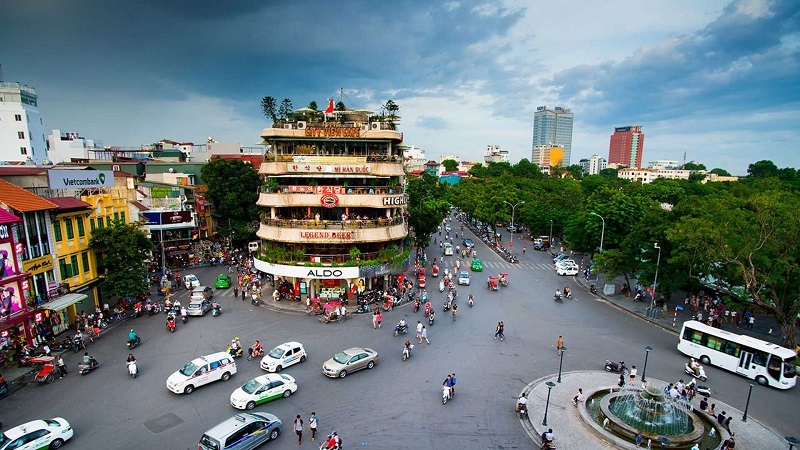 Hanoi is a big and chaotic city that is breathing with character and charm. Walk around the Old Quarter for a day and you’ll see what I mean. An eclectic mix of foreign influences and Vietnamese culture, you get the sense that this city has been through a lot in its thousand year history. Apart from seeing the sights of the city, trying street food is highly recommended. And you wouldn’t believe how damn good Vietnamese coffee is until you sip their Black Iced Coffee. Just wait till you experience the exciting Beer scene where you’ll get merry on very cheap beer. Escape Hanoi’s concrete jungle to Sapa’s breath-taking sceneries filled with green rice terraces and mountain peak’s. 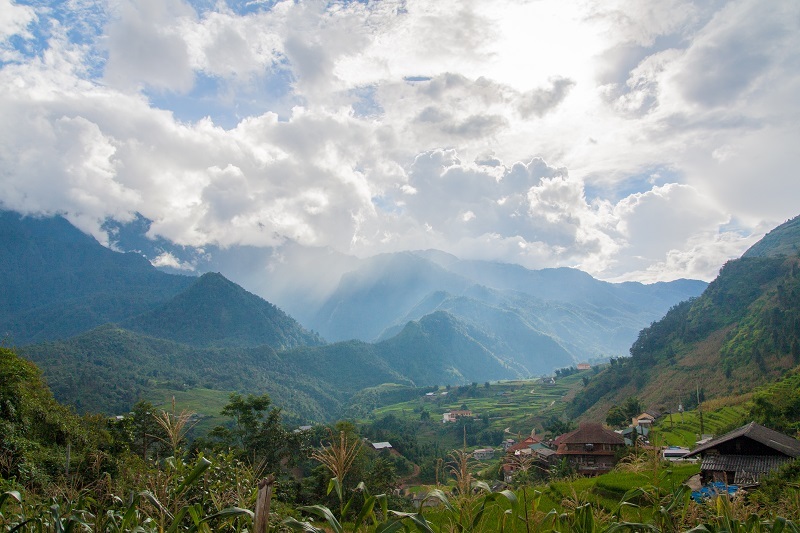 Sapa – the northernmost location is home to many indigenous hill tribes and is well known for Vietnam’s trekking destination. Prepare for an early start and get ready to explore the villages on foot. The mountainous views surrounding the rice terraces look like something from a sci-fi movie and even more majestic in the fog. And, like me, you might have to pinch yourself as a reminder that you’re still on planet Earth! Head to Ha Giang for more of a natural setting and less tourists. You might need more than 2 days to fully experience. Ha Giang motorbike loop is a very popular motorbike trip in Ha Giang province. Traveling in North Vietnam will never be complete without a trip to Ha Long Bay. Its reputation as one of Vietnam’s gems is well deserved because it is truly beautiful. With 2000 islands and islets in various shapes and sizes, of which mostly are limestone, create dramatic silhouettes that dominate the watery landscapes. 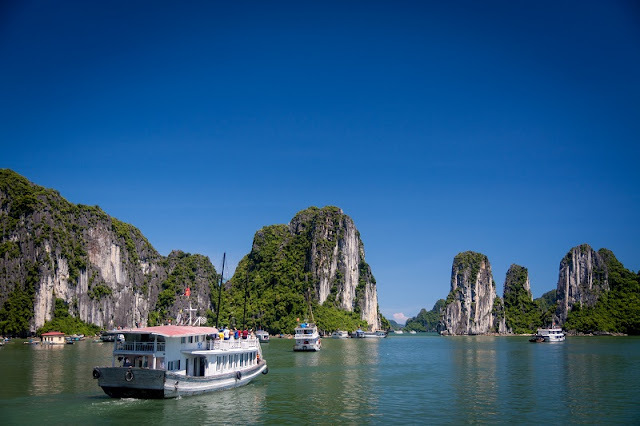 Overnight cruises or even 1-day trips will be enough to experience the beauty of Halong Bay and to see the islands. Avoid the Ha Long Bay crowds and go to other islands such as Cat Ba, Bai Tu Long Bay, and Lan Ha Bay. They offer more outdoor activities. They all share a similar climate, cultural, geological characters, but with fewer tourists and cheaper prices. I personally loved Cat Ba than Halong Bay. As an outdoors person, I enjoyed trekking in Cat Ba island’s national park, visiting Cannon fort and exploring the Hospital cave. “What’s the way to experience Ha Long Bay?” is often difficult to answer. 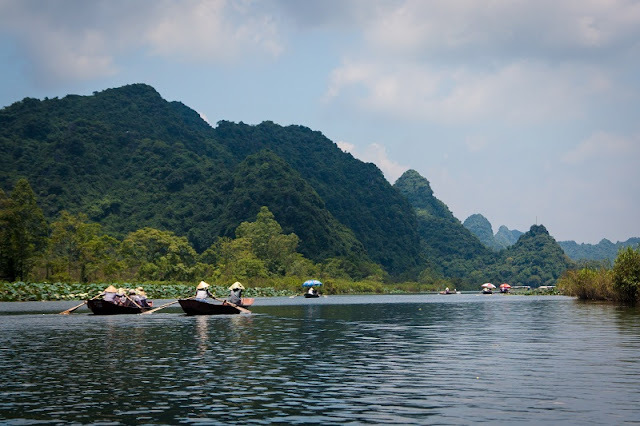 Ninh Binh is usually overlooked by travelers and that might be a good thing. Not because it’s not a great place. The region boasts a breathtaking, sometimes surreal, landscape, but sadly the gradual influx of tourists are on the rise. Add it to your travel list soon before tourism explodes. Known as “Ha Long Bay on Land” it’s one of the best opportunities to see the peaceful rural side and real Vietnam. I enjoyed Ninh Binh even more than Halong Bay and Cat Ba Island, I’d wish I had gone here during my first ever trip to Vietnam. The best way I can describe being here is like walking through the Discovery channel. I really enjoyed not having to face the messy streets of Ho Chi Minh, the hawkers in Hanoi or the tourists in Ha Long Bay. The peaceful village of Tam Coc is where you should be as it’s near all the action. See vivid green rice fields, karst limestone cliffs, and the panoramic Hang Mua (Lying Dragon Mountain) viewpoint, that’ll make your jaw drop. If you are planning to visit Vietnam, We hope this article will provide you with the information you need to make the most of your trip to Vietnam.